Finish Line has up to 50% off over 250 Sale Items for the Family, plus take an extra 40% off with coupon code SAVE40AFF. 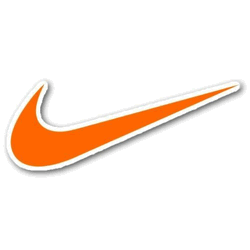 Save on great name brands including Under Armour, Nike, Converse, New Balance, Jordan, and more. Shipping is a flat-rate of $7 on any size sale order, or choose free store pickup. Sale ends Wednesday at 10am ET. Through Wednesday night, Finish Line has up to 60% off hundreds of Sale Items for the family, plus take an extra 25% off with coupon code GET25AFF. Shipping is a flat-rate of $7 on any size sale order, or choose free store pickup. Finish Line is offering an extra 25% off over 350 already reduced Shoes & Apparel Items for the family with coupon code EXTRA25AFF. Shipping is a flat-rate of $7 on any size sale order, or choose free store pickup. Sale ends Wednesday night. Finish Line is having a Fresh Fall Finds Sale with up to 40% off hundreds of footwear, apparel and accessory items for the family. Plus, take an extra $10 off orders of $100 or more with coupon code 10AUTUMN100 or $15 off $150 or more with coupon code 15SPOOKY150. Shipping is a flat-rate of $7 on any size sale order. FinishLine.com is having a New Markdowns Sale with up to 60% off hundreds of items for the family from across the site. Save on shoes, apparel and accessories, plus, take an extra 10% off $100+ with coupon code 10SCHOOL100 or 15% off $150+ with coupon code 15COLLEGE150. Shipping is a flat-rate of $7 on any size sale order. Quantities are limited, hurry for the best selection. Deal ends Wednesday. FinishLine.com is having a Summer Sale with up to 60% off thousands of shoe and apparel items for the family. Some items offer free shipping, or shipping is a flat-rate of $7.00, or choose free store pickup. FinishLine.com has up to 60% off over 1,200 Clearance Items for the family, plus, get an extra 25% off, discounted prices are shown. Also, free shipping is included with this deal with coupon code SHIPPONYFREE. Some exclusions may apply. FinishLine.com is having an Early Access End Of Season Sale with up to 50% off over 2,000 items including shoes and apparel for the family, plus many items have been marked down an extra 25% off. Some items offer free shipping, or shipping is a flat-rate of $7.00, or choose free store pickup. FinishLine.com is offering an extra 25% off over 2,000 select Styles for the Family with coupon code WC25OFFEARLY. Some items offer free shipping, or shipping is a flat-rate of $7.00, or choose free store pickup. 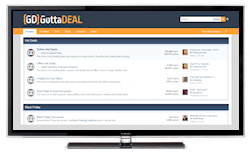 Deal ends Friday at 7:59 am ET. FinishLine.com is having an End of Season Sale with up to 50% off thousands of shoes and apparel items for the family. Plus, take an extra $15 off orders of $150 or more with coupon code 15WINTER. Some exclusions may apply. Some items offer free shipping, or shipping is a flat-rate of $7.00, or choose free store pickup. 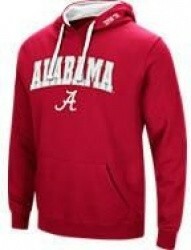 FinishLine.com has the select NCAA Men's Hoodies for $16.99 when you apply coupon code 15OFFHOODIES. You will also get free shipping on this item. FinishLine.com is offering an extra 20% off select Shoes and Clothing for the family with coupon code THANKS20. 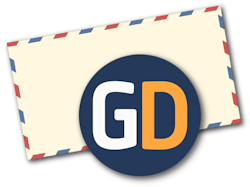 Shipping is a flat-rate of $7.00, or choose free store pickup. Sale ends Monday. FinishLine.com is offering an extra 20% off select Shoes for Men, Women & Kids with coupon code HAPPYFALL. Many of these shoes are already discounted. Shipping is a flat-rate of $7.00, or choose free store pickup. Sale ends Monday. Regularly $140.00, FinishLine.com has the Nike Men's Air Max 1 Ultra 2.0 SE Shoes in Anthracite/Black/White for $52.48. Choose free store pickup or have them delivered for $7.00. FinishLine.com has the Nike Men's Air Max Modern SE Running Shoes in Midnight Navy/Reflective Silver for $44.98. Shipping is a flat-rate of $7.00. FinishLine.com is having a huge End of Season Sale with up to 60% off shoes and apparel for the family. Plus, take an extra 20% off orders of $200 or more with coupon code 20SEASONSALE. Some exclusions may apply. Some items offer free shipping, or shipping is a flat-rate of $7.00, or choose free store pickup. FinishLine.com offers and extra 25% off Nike Backpacks & Duffels with coupon code 25NBACKPACK. Some exclusions may apply. Free shipping is also included with this deal. Offer ends Tuesday. FinishLine.com has the Men's Reebok Hexalite X Glide Running Shoes in Ash Grey/Carotene/Coal for $29.98. Choose free store pickup or have them delivered for $7. 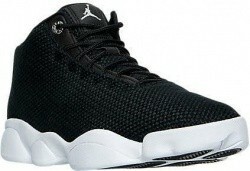 Originally $125.00, FinishLine.com has the Nike Men's Air Jordan Franchise Basketball Shoes in Black for $39.98. Choose free store pickup or have them delivered for $7. FinishLine.com has the Nike Men's Air Overplay Basketball Shoes in Black and White for $29.98. Choose free store pickup or have them delivered for $7. 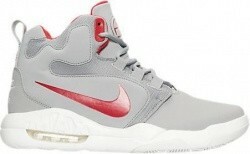 Regularly $94.99, FinishLine.com has the Nike Men's Air-Sole Conversion Basketball Shoes in Grey/Red for $37.48. Choose free store pickup or pay $7 to have them delivered. FinishLine.com has up to 50% off select Summer Styles for the family from great name brands including Skechers, Nike, adidas, PUMA, Reebok, Brooks, discounted prices are shown. Plus, take an extra $10 off orders of $100 or more with coupon code 10SUMMER100. Shipping is a flat-rate of $7.00, or choose free store pickup. Sale ends Tuesday. FinishLine.com has the Nike Men's Lebron Zoom Witness Basketball Shoes in Red for $44.98. Choose free store pickup or have them delivered for $7.00. FinishLine.com has the Men's Reebok Trainfusion LMT Training Shoes for $20.99. Shipping is $6.99 or choose free store pickup. FinishLine.com has the Air Jordan Men's B.Fly Basketball Shoes in Black/Grey for $48.99. Choose free store pickup or have them delivered for $7.00. FinishLine.com has the Nike Men's Aptare SE Running Shoes in your choice of several colors for $41.99. Shipping is $6.99 or choose free store pickup. Originally $145.00, FinishLine.com has the adidas Men's ZX Flux Racer Primeknit Casual Shoes in Black/Pink for $34.99. Choose free store pickup or have them delivered for $7.00. 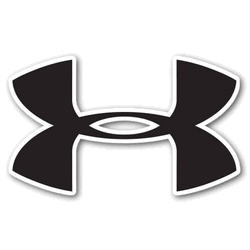 FinishLine.com is having an Under Armour Sale with a selection of apparel, shoes, and accessories for the family starting at only $6.99. Some items offer free shipping, or you can choose free store pickup to avoid any shipping charges. FinishLine.com has the Nike Men's Air Max Modern Flyknit Running Shoes in your choice of Photo Blue/Black/Bright Crimson or Rough Green/Black/White for $48.99. Shipping is $6.99 or choose free store pickup. 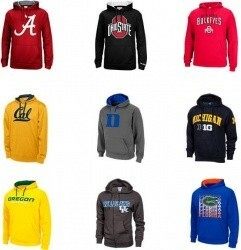 FinishLine.com has a great selection of Women's NCAA Pullover Hoodies for $14.99. Free shipping is also included with this deal. FinishLine.com is offering an extra 25% off select Kids' Shoes with coupon code 25OFFKIDS. Free shipping is also included with this deal. Sale ends Monday. FinishLine.com has the Nike Men's Air Jordan J23 Training Shoes in your choice of Black, White/Grey, or Wolf Grey for $59.98. Choose free store pickup or pay $6.99 to have them delivered. FinishLine.com has up to 40% off hundreds of Nike Shoes for the Family, plus, take an extra $10 off orders of $100 or more with coupon code 10GREEN100 or $15 off $150 or more with 15LUCK150. Shipping starts at $6.99. Some exclusions may apply. Coupons expire March 31st. FinishLine.com has the Reebok Men's Speed Rise Running Shoes in 3 color choices for $23.98. Choose free store pickup or have them delivered for $6.99. 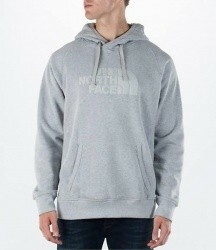 FinishLine.com has the The North Face Men's Avalon Pullover Hoodie in Black or Grey for $23.99. Choose free store pickup or have it delivered for $6.99. FinishLine.com has the Nike Men's Flex 2016 RN Running Shoes in your choice of Pure Platinum/Black or Black/Red for $39.98. Choose free store pickup or have them delivered for $6.99. FinishLine.com has the Men's Air Jordan Horizon Low Off-Court Shoes in Black/White for $68.98. Choose free store pickup or pay $6.99 to have them delivered. 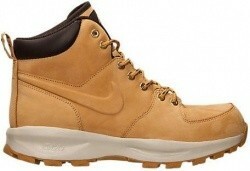 FinishLine.com has the Nike Men's Manoa Leather Boots in your choice of Haystack, Black, or Cool Grey for $49.98. Choose free store pickup or pay $6.99 to have them delivered. FinishLine.com has up to 40% off Nike Shoes for the Family, plus take an extra 20% off select styles with coupon code SAVE20NOW, eligible items are marked. Offer ends Sunday. FinishLine.com has the Nike Men's Air Jordan Retro 1 Mid Basketball Shoes in your choice of Black/Red or White for $55.98 with coupon code SAVE20NOW. Choose free store pickup or pay $6.99 to have them delivered. Deal ends January 29th.